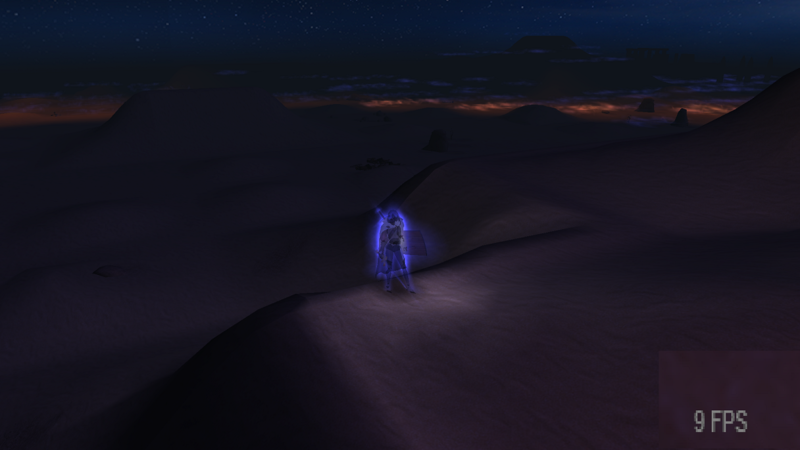 I'm not sure if I should report to this here, but in Har'akir there are some places with this reddish fog. And the FPS impact in them is far too great to just be ignorable, it's not a drop of 10 or 20 or even 30 fps, but a 100. Now I'm not sure if I'm the only one suffering from that, but I still thought I'd point out to it. In hope that such fogs would use a less heavy on the performance VFX. Note that both images were taken at the same time, from the same spot, just once direction my camera away from the fog, and once directing the camera towards the fog. 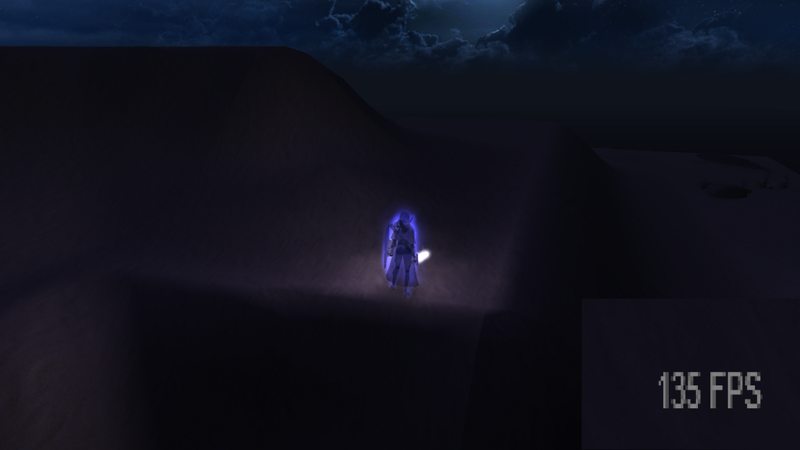 I notice a similar issue related to how far out my camera is zoomed, and how much of the environment is visible. For example, if I am scrolled in close with a top-down camera angle, my fps is great. However, if I turn to look at, say, the horizon, or zoom out, my FPS tanks. One a side note, where did you get that beautiful skybox?